On July 26, Carolyn and Fletcher Gray stood in a box near the finish line at Saratoga, watching as their homebred I’m a Chatterbox led a field of accomplished fillies, including a couple of Grade 1 winners, around the historic racetrack in the Grade 1 Coaching Club American Oaks. And when she crossed the finish line first, a nose ahead of Curalina, they exulted, celebrating the filly’s first Grade 1 win. 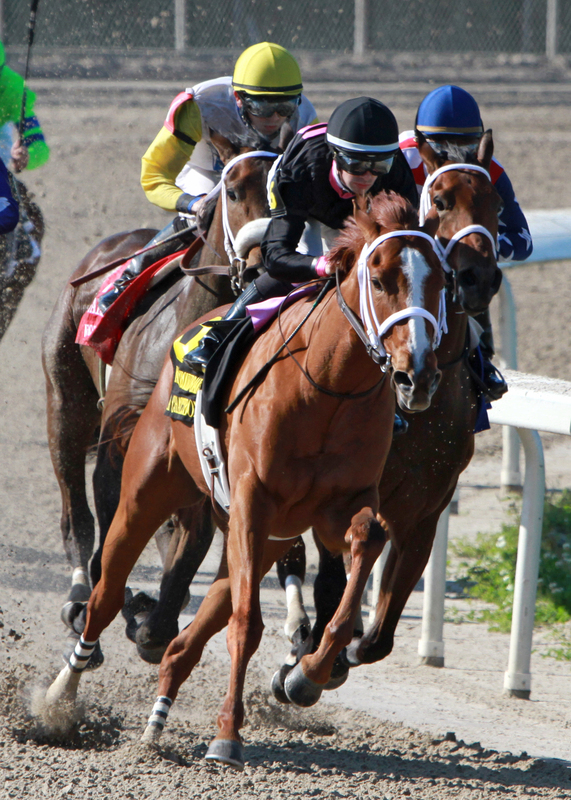 That joy was short-lived, though: deemed to have interfered with Curalina approaching the wire, I’m a Chatterbox was placed second, giving Curalina a second Grade 1 win and leaving the Grays’ filly still in search of her first. She got another chance a month later at Saratoga, in the Alabama, but this time, the Grays weren’t there to see it. Carolyn’s 96-year-old mother Friederica took ill in mid-August, a week before the Alabama; she lived in a cottage on the Grays’ farm in Missouri, and the Grays stayed home to care for her. An illness earlier in the year had landed her in the hospital, an experience that she didn’t want to repeat, so Carolyn arranged for hospice care at home. Her mother passed away late last month.